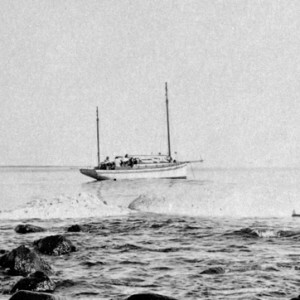 The Windjammer was an extremely popular venue for locals and visitors. The Windjammer Room was one of the first evening entertainment venues on the Gold Coast and started as a partnership between musician and businessman Bob Geraghty and others. 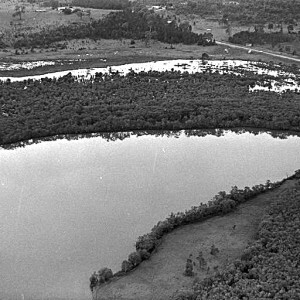 In 1941 Bob Geraghty left America and settled in Surfers Paradise where he purchased a riverfront home. 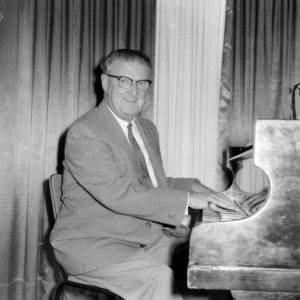 Having a background in music, he commenced work as the resident orchestra leader and social organiser at the Surfers Paradise Hotel on Cavill Avenue. By 1947 Bob decided to enter the travel business. He set up a small wheeled kiosk in the fernery of the Surfers Paradise Hotel gardens where neither the fernery nor the kiosk had a roof. 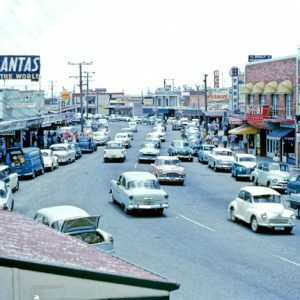 Bob relocated his travel business to a site near the corner of the Pacific Highway (Gold Coast Highway) and Elkhorn Avenue were he opened Bob Geraghty’s Travel Bureau with Ray Goldner working as his chief consultant. The business expanded to include real estate and property letting. In addition to his travel business, Bob also leased a site opposite the Surfers Paradise Hotel on the western corner of Cavill Avnue and the Gold Coast Highway and built a mini golf course. 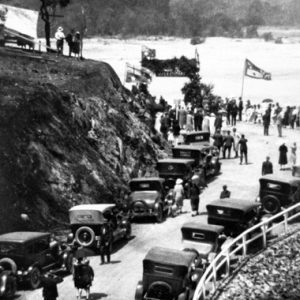 In 1948 Bob and fellow American, Sophie Graves, formed a musical duo and opened the Windjammer Room on the Gold Coast Highway. Bob and Sophie were responsible for the entertainment while Bill Graves managed the business operations and supervised the kitchen. The Windjammer was an extremely popular venue for locals and visitors but could seat only 60 people. On Sunday nights when the Surfers Paradise Hotel was closed, the number of patrons in the Windjammer doubled. People would bring their own folding card tables and chairs so they were able to sit down. At the time, most restaurants required the men to wear jackets and ties however casual dressing was permitted at the Windjammer and the men did not need to wear ties. The fame of this small restaurant spread and in 1951 the Sydney Daily Telegraph newspaper wrote a favourable review. 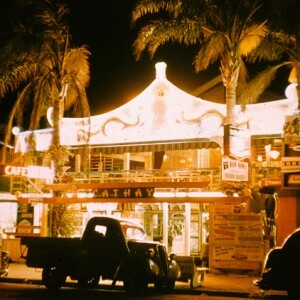 By the mid 1950s, new night spots had opened in Surfers Paradise including Marny de Vries’ Flamingo on Hanlan Street and The Corroboree Room on Cavill Avenue. 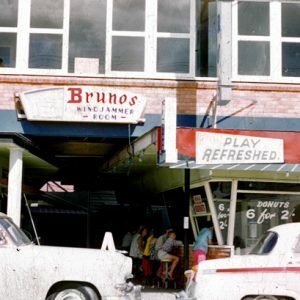 By the late 1950s, Bob no longer owned the Windjammer and it became known as Bruno’s Windjammer. 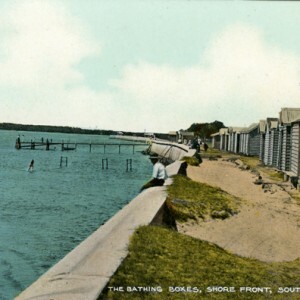 Bob was President of the Surfers Paradise Chamber and involved in the promotion of Surfers Paradise. After his death in December 1963, Ray Goldner continued to manage their travel business until it was purchased by John Swan who later sold it to the National Bank Travel Service. McRobbie, Alexander. The Fabulous Gold Coast. Surfers Paradise: Pan News Pty Ltd, 1984. McRobbie, Alexander. 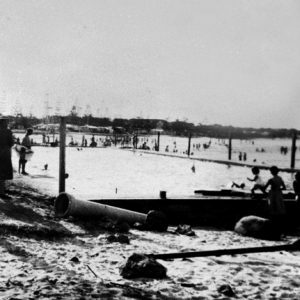 20th Century Gold Coast People. Gold Coast: Gold Coast Arts Centre Press, 2000.